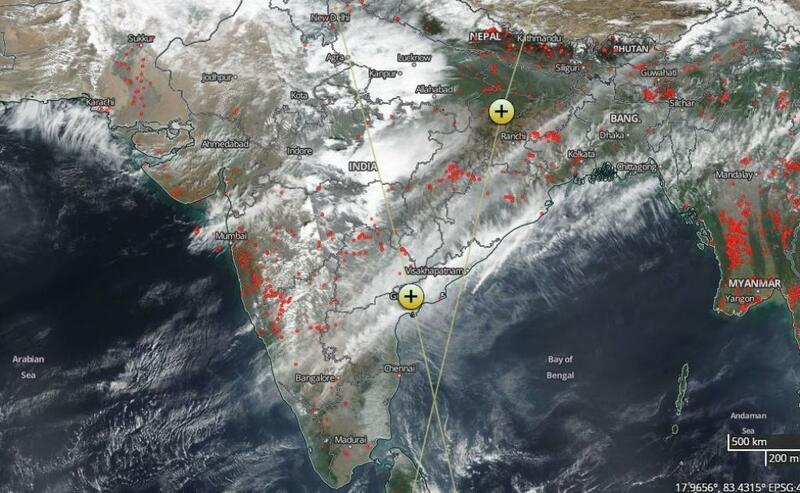 The massive forest fire in Kurangani Hills of Tamil Nadu, which killed nine trekkers and injured 18, is one of the many fire incidents that took place on March 11, shows a satellite image released by American space agency NASA. Karnataka, the neighbouring state, too, has been dealing with the issue. In the first 34 days of 2018, the state recorded 60 forest fire alerts every day, according to the Forest Survey of India. But not all these alerts convert into forest fires as they are first investigated and then cases are registered. In 2017, the state reported 1,333 forest fires, which means at least three a day made it to the books. 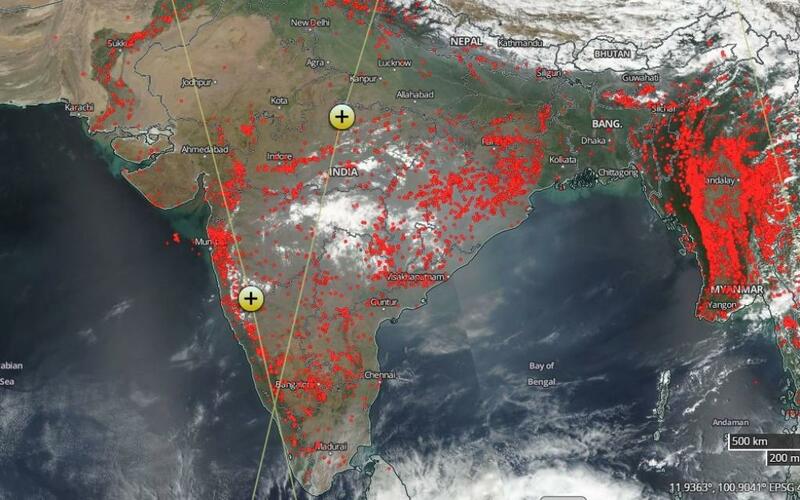 The image released by NASA on March 11 shows that currently, the burning fields or forests are concentrated in Gujarat, Madhya Pradesh, Odisha, West Bengal, Maharashtra, Andhra Pradesh, Tamil Nadu and Karnataka. The number of these fire events has increased in the last one month. In India, as many as 35,888 forest fires took place in 2017. With the climate registering drastic changes, environmentalists say the threat of forest fire looms large as soil has been largely unable to retain moisture. In 2003, India had witnessed 24,450 such cases, which means the number increased by 47 per cent in 14 years (till 2017). November-December—the post-harvest period of the monsoon crop of paddy—is traditionally the time when farmers burn crop residue. Close to 80 per cent of the entire crop residue burning takes place in these months. The pattern, however, is changing. Though there is no official data, trends show that India has a new season of crop residue burning: April-May. Of late, courts and governments have issued stern regulations and guidelines on burning crop residues. On December 10, 2015, the National Green Tribunal (NGT) banned crop residue burning in states of Rajasthan, Uttar Pradesh, Haryana and Punjab. Parts of these states constitute the National Capital Territory. In 2014, the Union government released the National Policy for Management of Crop Residue, which NGT directed the states to implement. Under this policy, each state needs to have an action plan to stop residue burning by involving people at different levels—from communities to panchayats to state governments. It also calls for a mechanism to alert cases of crop burning. Moreover, crop residue burning is punishable under the Air (Prevention and Control of Pollution) Act, 1981. 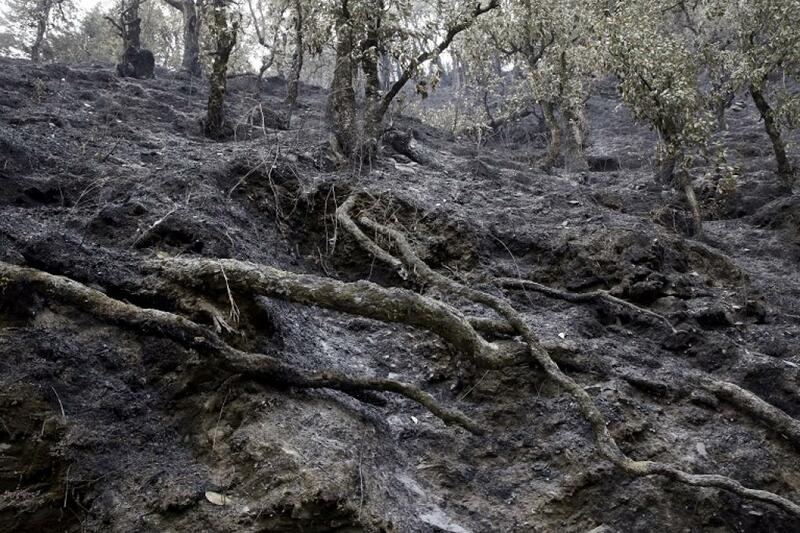 A team of Indian scientists has proposed a new strategy to tackle forest fires. The strategy involves providing for greater involvement of local communities and use of modern tools of communication technologies such as mobile apps. The aim is to put together a mechanism for an early warning system and cover a much larger area than at present.